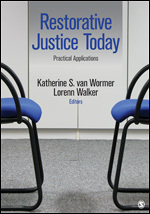 Authors and editors Katherine S. van Wormer and Lorenn Walker share the work of many including Howard Zehr, Kay Pranis and other notable restorative justice experts in this book published by Sage. Authors look at current restorative justice and practice issues and concepts used in a broad range of areas. In a time when the cost of prisons and jails is on the rise resulting in more people being isolated from the community, this timely and contemporary book exposes readers to a range of restorative practices that can be implemented. The authors, renowned experts in the area of restorative justice, provide information not found in other restorative justice texts. “Over the past thirty years the number of books or publications on Restorative Justice (R.J.) has increased annually. In 2013 justice practitioners, students and conflict resolution (or conflict prevention) readers may proclaim this publication as their book of the year. The authors, both with interesting backgrounds and academic credentials have provided a ‘practical’ look at the current applications for R.J. in the United States and elsewhere. Unlike most North American or United Kingdom anthologies with limited geographic focus this publication provides an impressive worldwide frame of reference. The words they use are well chosen and the entire collection of twenty five (25) articles by a well chosen collection of twenty nine listed authors is thoughtfully organized.” Eric Assur, RJ Online, 2013. Authors Lorenn Walker and Rebecca Greening share Hawai’i Friends’ proven transition process for imprisoned people and their loved ones in this handbook. It is a useful resource for those working in prisons and other institutions that confine people. The book provides helpful and effective guidelines garnered from over 10 years experience with this reentry pilot program. 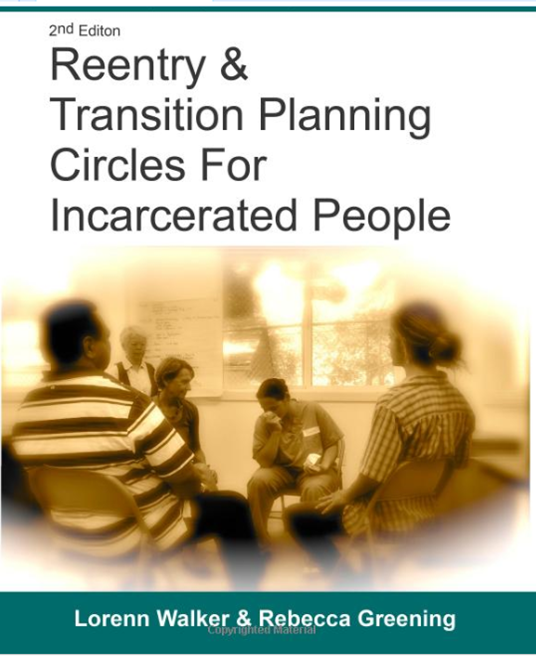 It will lead you step-by-step in how you can develop and provide a reentry and transition planning process appropriate for individuals in your own setting. The process is based on public health, restorative justice, and solution building. It promotes desistance from crime and helps repair damaged relationships.